You are here: Home / News / News / 3D Printed Toy Soldiers invade the Store! 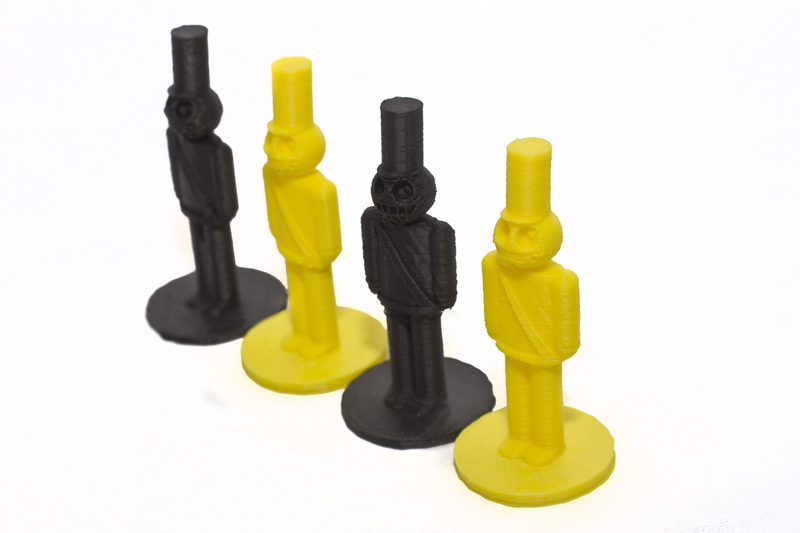 3D Printed Toy Soldiers invade the Store! Plastic! It’s all over workshop #558 in the digital bunker. On the floor, on the walls, dangling from the overhead cables, and in the coffeemaker. Because the robots have been very busy building toys for the Army. And they’re now ready to be unleashed upon the world! MWUAHAHAHAHAHAHA! Using the not-so-latest in 3D printing technology that we assembled in between a dozen cans of energy drink, 3D printed Toy Soldiers are now available in the TSU store. We here at toysoldiersunite.com are extremely proud of these little fella’s. Especially considering they can bolster our Army, adorn our bunks, stand watch over our outposts, and help charge in during invasions! 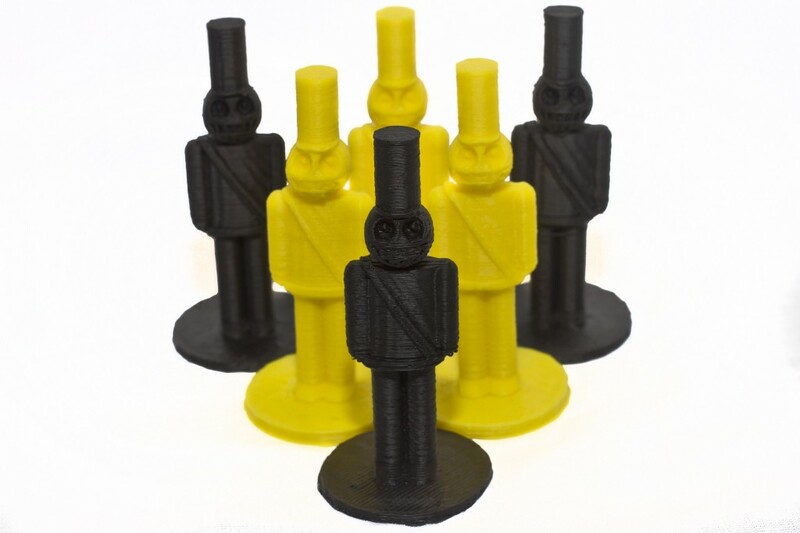 They stand at 75mm tall, are made from ABS plastic and come in black, yellow and grey. Each can be handpainted to your own exacting standards, or left as is. For $7.50 you get a set of three. We want to also give a special thank you to TheAtomicSoul for creating the files needed to print these soldiers. He’s also the man behind the TSU robot which will also be turning up in the TSU store at a later date, once it’s stopped rattling itself to pieces every time it hears Rick Astley. AtomicSoul has essentially mastered the art of turning the ‘virtual into reality’, and we look forward to many more of his creations!